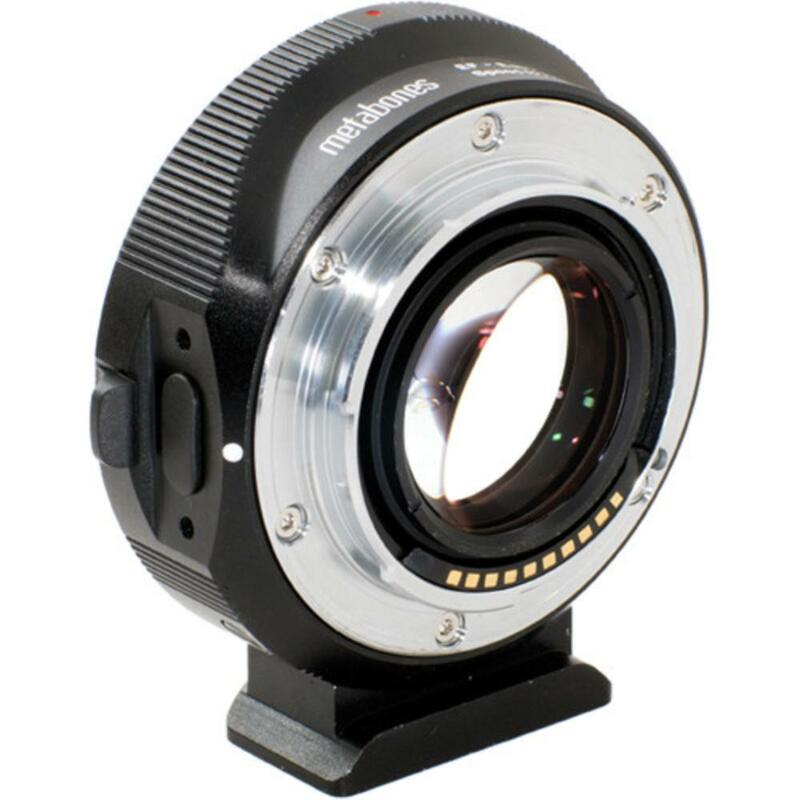 The Metabones Canon EF to Sony NEX Speed Booster ULTRA allows you to mount full frame (non EF-S) Canon lenses onto a Sony NEX E Mount (APS-C sensor) camera while also increasing the lens' maximum aperture by 1 stop. It also effectively reduces the amount of crop on a crop sensor E Mount camera from 1.5x to 1.07x by creating a widened angle-of-view by 0.71x. This makes using an E Mount crop sensor camera in low light more effective while also creating a more dramatically shallow depth-of-field. For example, an f/1.2 lens will effectively become an f/0.9 lens. You can also use this Speed Booster on Sony a7 series cameras but the camera must be put into Crop Sensor Mode for it to work correctly. This Speed Booster is ideal for low light shooting, for creating a lot of bokeh, or for simply using Canon glass on NEX bodies. Note: Not compatible with EF-S lenses or full frame cameras. This adapter would only work with full frame Sony cameras, like the Sony Alpha a7S, when shooting in APS-C mode. This adapter is designed specifically for full frame (non EF-S) Canon lenses to be attached to Sony NEX E Mount (APS-C sensor) cameras. • Powered by Camera Body - No External Power Source Required.